Michigan Supreme Court Chief Justice Clifford Taylor has a 10-to-1 campaign contribution advantage over challenger Wayne County Circuit Court Judge Diane Hathaway, according to the latest filings with the Secretary of State. Taylor reported more than $1.5 million in contributions so far. Hathaway reported just under $150,000 for the period between Sept. 3 and Sept. 26. These are not trivial sums, but both are a far cry from $20 million. Michigan Supreme Court Justice Robert Young speculated last fall that’s how much it might take to re-elect Taylor. And that’s how much Michigan Democratic Party Chair Mark Brewer said he would spend to defeat Taylor. With less than a month before the election, it’s not realistic to expect either candidate will come close to raising $20 million in campaign contributions. But will $20 million actually be spent on Taylor and Hathaway’s behalf? Not likely, says Michigan Campaign Finance Network Executive Director Rich Robinson. If that kind of money is spent on the supreme court contest, “it will come from soft-money issue ads. These can appear out of nowhere,” said Robinson. If a similar “food fight” (Robinson’s phrase) were to erupt in this year’s MSC campaigns, there simply isn’t enough time left before election day to spend $20 million, according to Robinson. Robinson said that MCFN recently “made the rounds” at television stations across the state. “Taylor has ads cued up to go over the last three weeks of the campaign,” he said. The ads will begin to air Oct. 16 in the Detroit area, Lansing and Grand Rapids. Robinson said that he didn’t see any Hathaway media buys when MCFN conducted its research. Robinson said that the Judicial Confirmation Network has bought some time as well. There’s no telling what the JCN might run but its website currently features an attack ad against Barack Obama. A Marketing Resource Group-Inside Michigan Politics poll shows that if the Michigan Supreme Court election were held right now, it would be a tight race between Wayne County Circuit Court Judge Diane Hathaway, the Democratic candidate, and incumbent Chief Justice Clifford Taylor, the Republicans’ choice. The MRG-IMP poll shows 15 percent of those surveyed would either vote for, or are leaning toward, Hathaway. Taylor polled 14 percent. The poll’s margin of error is +/- 4.1 percent. There’s a big chunk of undecided voters, 68 percent. So, is it a meaningless pre-election poll? Far from it, says MRG’s Director of Research Services Paul King and IMP’s Bill Ballenger. King said he was not surprised by the large percentage of undecided voters at this stage of the game. What did surprise him is that Taylor didn’t get a bigger pop from the poll. King explained that the question asked those responding to choose between “Incumbent Justice Cliff Taylor” and “Diane Hathaway.” The incumbency designation should have translated into a better percentage for Taylor. Here’s the scene where maybe I should be eating a slice of humble pie. In past posts, here, here, here and here, I’ve been less than supportive of Michigan Democratic Party Chair Mark Brewer’s handling of the MSC campaign. But King speculated that Brewer’s shots at Taylor may be responsible for Taylor’s poorer-than-expected showing in the poll. Ballenger echoed King’s speculation about Brewer’s campaign efforts. He added that Justice Elizabeth Weaver’s constant sniping at Taylor and the rest of the “majority of four” (Justices Maura Corrigan, Robert Young and Stephen Markman), has prompted “internecine squabbling,” which has “given the court a black eye.” This also presumably works to Taylor’s disadvantage, said Ballenger. When Ballenger made his comments, he mentioned he was en route to Washington, D.C.
What’s going on in Washington, Bill? Ever the jokester, that Bill Ballenger. Okay, so what’s Taylor’s next move? Not so sure he was joking that time. With Wayne County Circuit Court Judge Diane Marie Hathaway’s announcement of her Michigan Supreme Court candidacy during a press conference call last Tuesday, the Michigan Democratic Party now has two high court candidates to choose from at its state convention this weekend. Deborah Thomas, also a circuit judge in Wayne County, has been seeking the nomination for months. One of them will emerge as the MDP’s nominee this weekend. Hathaway came out swinging on Tuesday, calling Michigan Supreme Court Chief Justice Clifford Taylor “a walking conflict of interest” who rules for insurance companies the bulk of the time, and, says Hathaway, will get millions of dollars in support from insurers and large corporations. Taylor has raised nearly $1.5 million so far for his re-election campaign. Don’t count Thomas out, though. Her campaign web site is replete with criticism of Taylor’s and the Republican majority’s jurisprudence. She’s had plenty to say about why a Hathaway candidacy will fall flat. She’s planning a strong convention presence and told me earlier this afternoon that she’ll be there this weekend “with every last vote” from her supporters. No matter which of the two MSC hopefuls gets the nomination, she will face the uphill battle of knocking off the incumbent Taylor, the Michigan Republican Party’s choice for the November ballot. Each has been on the short end of the electoral stick before. 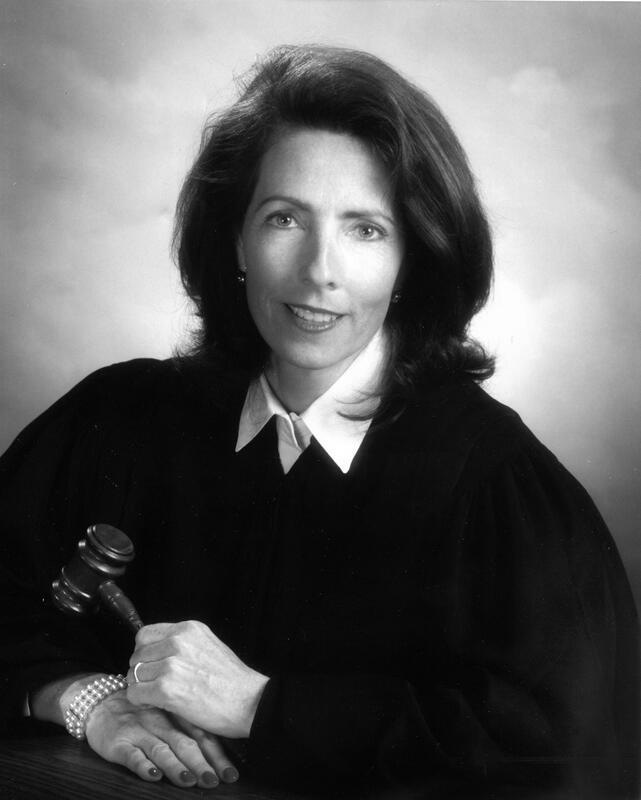 Hathaway lost a bid for the Court of Appeals in 2006. Thomas had an unsuccessful run for the Michigan Supreme Court in 2004. Bill Ballenger, editor and publisher of Inside Michigan Politics, has remarked to me in the past that 95 percent of all incumbent judges in Michigan in the last 20 years have been re-elected. Long odds for a challenger, no matter who gets the nod.